Is there a better alternative to PaintMee? Is PaintMee really the best app in Illustration category? Will PaintMee work good on macOS 10.13.4? PaintMee is the world's most advanced digital painting generator. Unlike any other software, paintings are actually painted stroke by stroke, smoothly animated, starting with an empty canvas reaching incredible results. 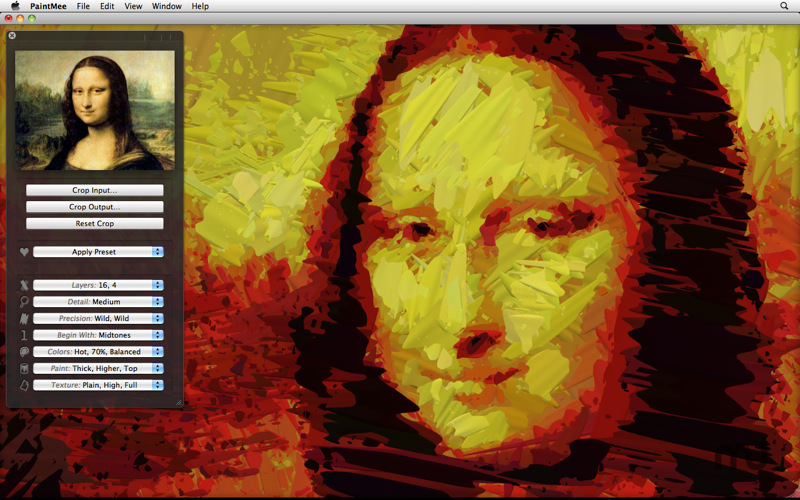 PaintMee shares many powerful features with its forerunner, SketchMee, which was selected by Apple as a worldwide, major front-page feature app on the Mac App Store, March 2011. It's awesome, be sure to check it out if you haven't already. PaintMee needs a rating. Be the first to rate this app and get the discussion started! 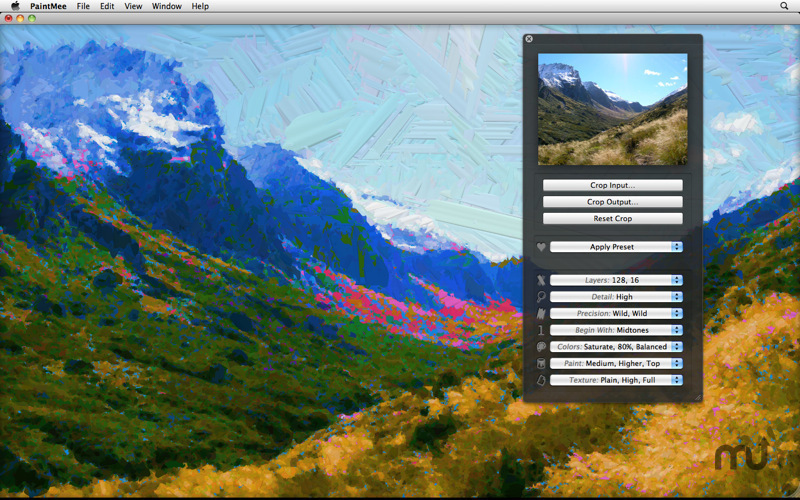 PaintMee is the next level in this new breed of art generating software making in-depth analysis of the source photos, then building the end results from scratch, not reusing any pixel data from the original. The finished paintings are stored internally as complete 3D models made up of thousands of separate paint strokes, each an infinitely well-defined 3D object. Zoom in to inspect the paint. Paintings appear perfectly sharp at any zoom level. Reapply the same settings any number of times, every time getting a new, different and unique painting. Change the light source position to change the appearance of the paintings. 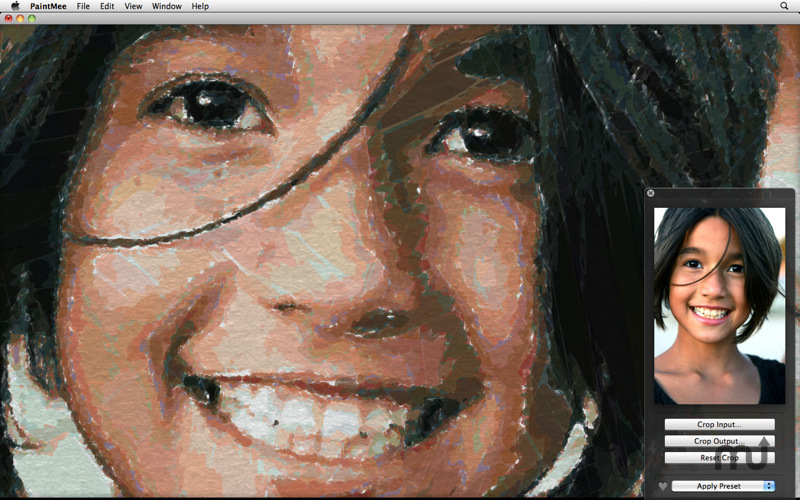 Create sharp, full size 16 megapixel paintings using tiny low-resolution source images as input. Crop the resulting painting as much as you like. You can always save the remaining part as a sharp 16 megapixel JPEG. 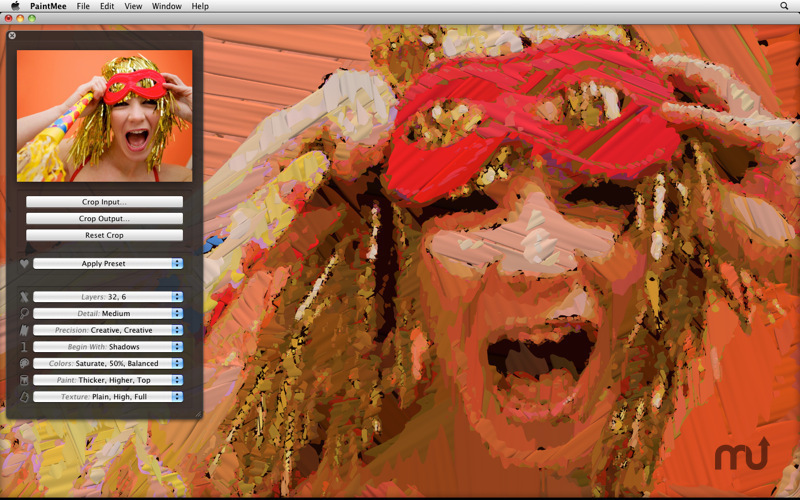 PaintMee aims to explore the borderlands between art, technology, and entertainment. Come join the expedition!